Quotation marks are an essential punctuation which serve to set off text (as in a quote, a phrase, or a dialogue). However, they are often appropriated for purposes the punctuation was not meant to handle. Often this comes in the form of using quotation marks for emphasis, which, from a strict-grammarian perspective, is translated not as emphasis but as sarcasm. There is a time in the course of human events where one finds oneself walking down a hallway, in a supermarket, your local Target, down a street, in a sketchy alley, and so forth, where one finds what can be referred to as an “unnecessary” quotation mark. I assume that “they” are doing this for “emphasis,” but what really happens is something much sketchier. I can imagine a lawyer on the other side of that counter, waiting to hand you the papers you’ve been avoiding for three months. Are they organic? Are they? Quotation marks, if used excessively or unnecessarily, can come off as being really snarky or sarcastic—which is fun if that’s what you want to do. This is “food.” Trust me. 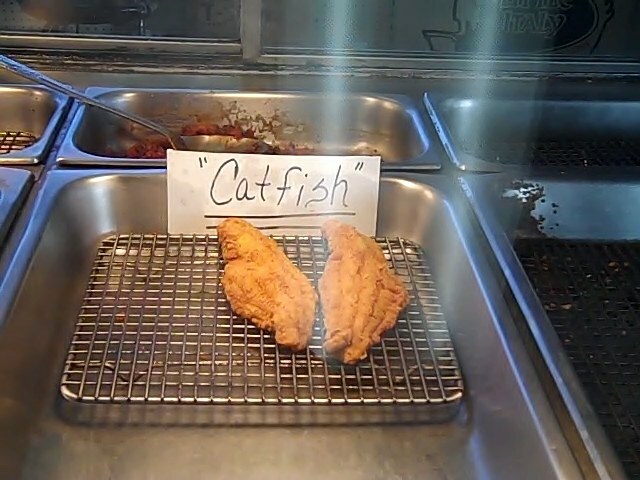 Quotation marks are often used for emphasis (see above exhibits), but the result is generally not an emphasized word but a new, often sarcastic context to the word. For example, in the picture of the “organic” strawberries above, the differentiation between regular strawberries and organic strawberries could have been emphasized by underlining organic. Instead, it was presented as “organic,” which is translated as meaning (not really) organic. It has the opposite effect—it does not emphasize what it is but rather says that it is the opposite of what it is. This reverse translation is the result of what we can call the air quote or scare quote effect. 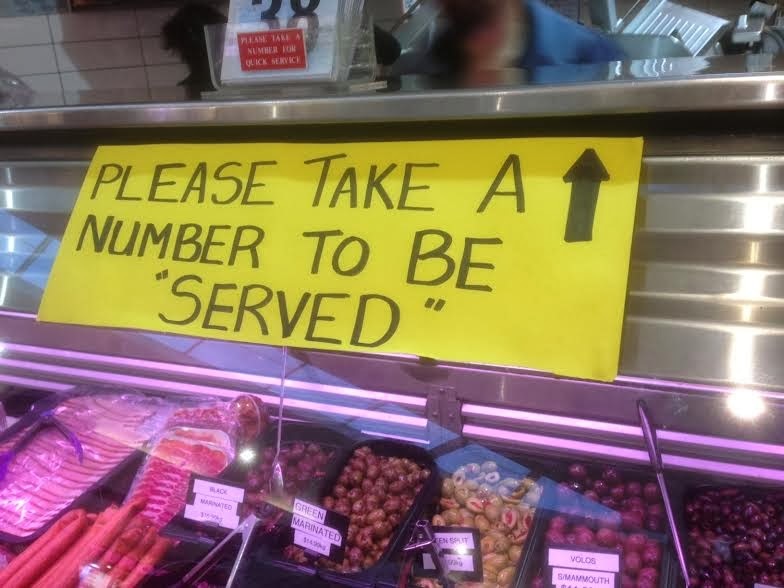 Some context: Whenever I see unnecessary quotation marks, I think of someone using air quotes. Air quotes, also known as finger quotes or ersatz quotes, are a recent phenomenon, having only entered the vocabulary of English in the past few decades. They were made popular by Steve Martin who used them in his stand-up routines. They are the visual communication equivalent of scare quotes, where quotation marks are put around a word so as to indicate that the word enclosed in the scare quotes is not signifying its usual or universally understood meaning. 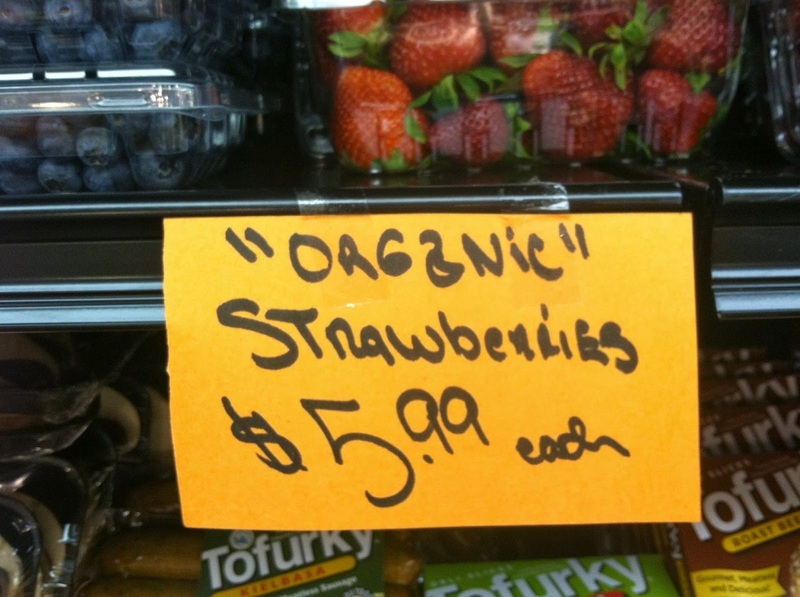 And so, when I see a sign that says “organic” strawberries – since organic is not being quoted or spoken in a dialogue – I can only assume that the writer is saying organic with a nefarious wink wink, nudge nudge. Quotation marks are good for many things – marking off dialogue, quoting cited material, setting off the title of a short story, a poem, or an essay, and even to use a word sarcastically or in a way that deviates from its general usage – but they are not very good at emphasizing things. Emphasis is best left to italics, underlines, repetition, and short sentences. In the meantime, head over to unnecessaryquotes.com for some good punctuation humor! Previous Help! I Wrote a Paper, and Now I Have to Present It!